Open Journal of Chemical Engineering (ISSN: 2377-6250, e-ISSN: 2377-8318) is an international research journal and invites contributions of original and novel fundamental research. The journal aims to provide an international forum for the presentation of original fundamental research, interpretative reviews and discussion of new developments in chemical engineering. Papers which describe novel theory and its application to practice are welcome, as are those which illustrate the transfer of techniques from other disciplines. Reports of carefully executed experimental work, which is soundly interpreted are also welcome. The overall focus is on original and rigorous research results which have generic significance. 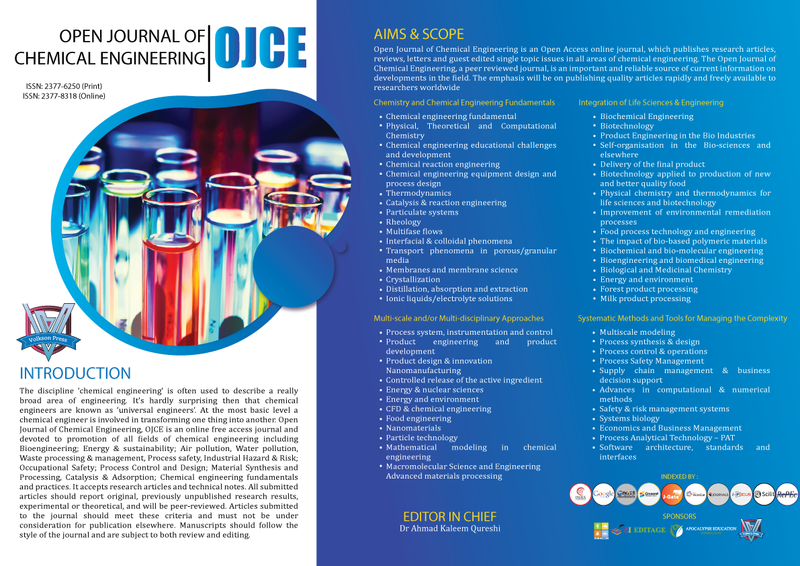 Open Journal of Chemical Engineering (OJCE) is a collaborated publishing project under Zibeline International and Academic Research Publishers. 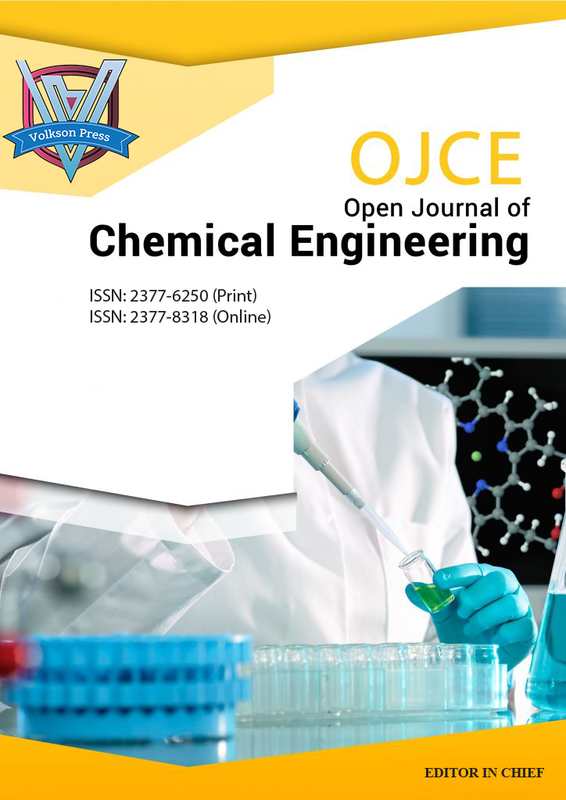 Open Journal of Chemical Engineering (OJCE) invites you to submit manuscripts for consideration in this scholarly journal. The journal welcomes research papers, reviews, reports and other manuscript types for the related interdisciplinary areas. 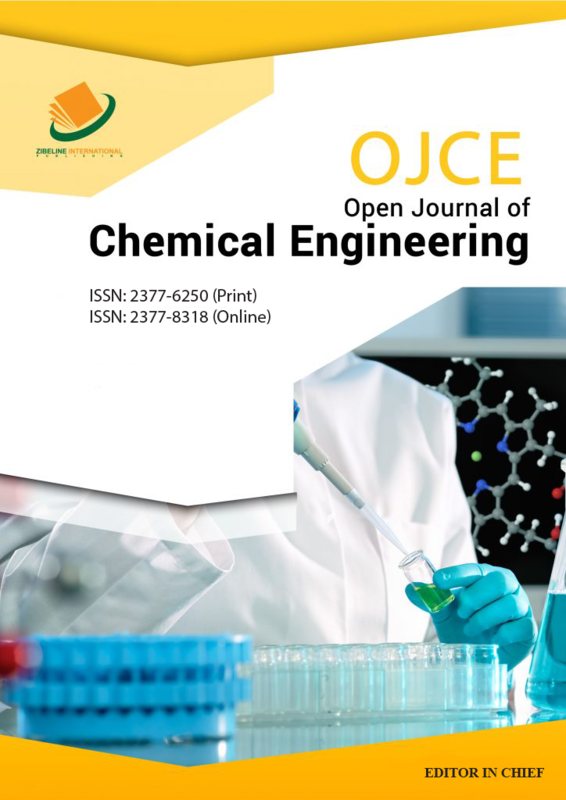 Open Journal of Chemical Engineering (OJCE) is empowered by eminent group of editors and reviewers. The board comprises eminent scholars with extensive publications.